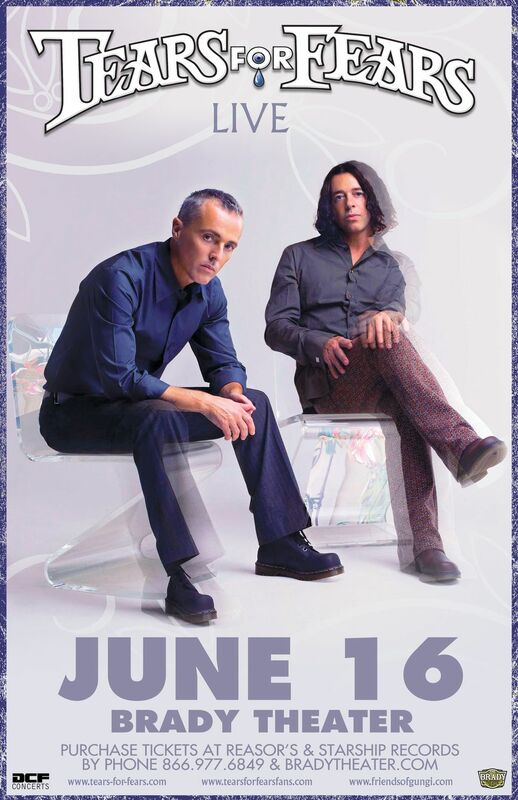 Tears For Fears are confirmed to perform at the Brady Theatre in Tulsa Oklahoma, Tuesday the 16th of June. Tickets for this show go on sale next Friday morning 27 March at 10am CST (Centeral Standard Time or 11am ET for East Coast, 8am for those flying in from Los Angeles). The Brady Theatre is quite historic, having opened at the beginning of the last century. A plethora of A-listers have performed here. This is not a general admission show, so no need to arrive at the crack of dawn and stand in line in the summer heat (thank you TFF booking). Doors open at 7pm and the show is start at 8pm. No word on who will open for the band or if anyone is opening at all. We also read that the seats are tiny. We don’t know what that means. See reviews on the venue and make the choice that fits you best. Given that Bonnaroo will be the week prior and no shows have yet to have been officially announced/scheduled between the 14th and the 16th (that could change in 10 minutes or 10 days, do not plan your travel schedule around that sentence), you may want to get into town the night before and party. Location: The official address of the Brady Theatre: 105 West M.B. Brady Street Tulsa Oklahoma 74103. So put that in your GPS if you’re renting a car from the airport. It’s about a 10-15 min ride from the theatre to the airport. That’s $20-$30 average using hired transporation/car services. Arrive a day early, don’t stress yourself. Tentative Roll Call: Monday 15 June 8pm. Purpose: Just because…you never know. We like swank, Mayo hotel looks stellar and is highly praised. A) The Mayo Hotel – this has become quite the hotspot with top reviews. They also have a rooftop bar. Prices start at $129.00 but that’s with third party hotel chains. We recommend booking all stays through the hotel directly. Yes, it costs more but from our own travel experiences and field research so to speak, we find that it’s just easier all around. However, if you’re going to use a third party be sure to join that site’s membership so you can take advantage of free nights on future stays at various hotels. B) Ambassador Hotel Tulsa – looking at about $200 a night with taxes. If you’re looking for something luxurious and a bit further away from the venue you may want to stay here. Click on hotel name for details. C) Courtyard Tulsa is about $119 per night before tax. It is near the venue. Food: We’re big on in-room dining, piling up in hotels and munching on fries and sandwiches (gluten free for Andye, she has an allergy, if you see her with bread, take it away and give her macarons instead). But we understand that it’s cool just to get out and go to a great restaurant. The area near the venue is full of Taverns, Mexican and Americana fare. There’s also a highly rated Italian restaurant called “Hey Mambo.” So keep that in mind. 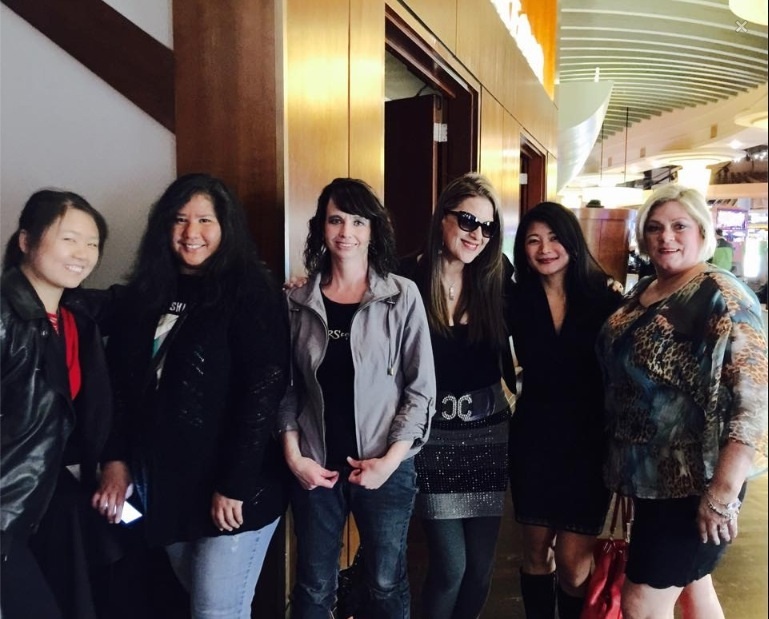 Fan Fun: We usually conduct the roll call at dinner time the night before a show. Location TBD depending on the number of attendees. We always go for drinks afterwards which will be Tuesday night unless we have another show to attend the next morning/have to rush to the airport. Song Line-Up/Set List: Most likely it will be some of the great hits we heard in 2014. So check the past blog posts for set list, those of you who will be in the elusive Tears for Fears clap section. Choreographies will not change, choir robes and costume changes not necessary but welcome. LOL! You know we’re serious. You’ll also want to follow: @tearsforfears @curtsmith @rolandtff for official band news. …and us if you’d like @papasfans for updated fan fun and band travel excursions! Buy Tickets Button will activate next week! Given that we did this trip last year, we advise fellow travel fans to perhaps use this blog post below as a guide. The date for this year’s show is 10 July. Tickets are on sale this Friday…alongside tickets for 5 other shows. Advice, aim for the venue tickets first and then reach out to third party ticket sellers. The venue will have them for market rate. This is so informative and professional as well. You are awesome, Andye! !